How can we have a transparent background on the JotForm? 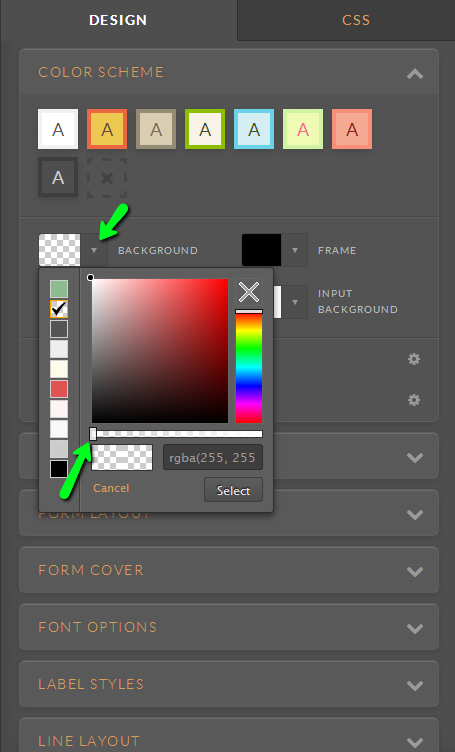 In the designer, the background color has been removed and the form has been saved. This process has been repeated multiple times, yet the background keeps re-setting to white, and it looks terrible when we embed it. Please help!? How can we have a transparent background on the JotForm? and then click Select and save the form, it later reverts to a white background? If so, I wasn't able to replicate the problem on my end in a clone of the form. Would you like us to go into your account and try the procedure there?